It’s time to kill the cull once and for all, common sense must prevail! 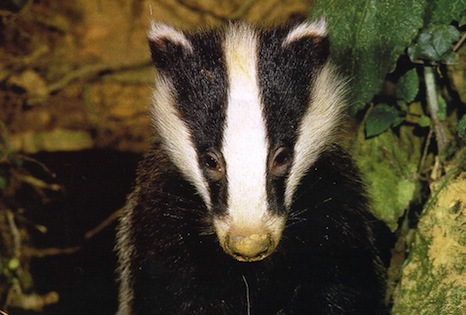 Labour’s Shadow Environment Secretary, Maria Eagle, says Labour could back cull of sick badgers if it won the next election but only if it was part of “a proper scientific approach” in the battle to end bovine TB. This is a shift in party policy as Labour has always spoken out against culling. However Maria Eagle did stress that she believed Environment Secretary Owen Paterson was “not taking notice of the science”, and that he was allowing his “prejudices” to influence the Government’s bTB policy. All the scientific evidence and advice Mr Paterson has received told him that if the trial culls failed to remove 70% of badgers during the six-week trial period it would more than likely make the situation worse, not better, due to the effects of perturbation. An independent expert panel is due to announce whether it deems the two trial culls, that have taken place in Somerset and Gloucestershire, to have been successful. In which case this could open the door to up to 40 more culls being rolled out around the country. But, believe it or not, the remit of the independent expert panel has been restricted to the initial two, six-week trial periods , and will not be taking into consideration the extensions to both trial culls. This means that the panel are being prevented from taking into consideration, or commenting upon, key aspects of the two trial culls. We believe that Mr Paterson is tying the hands of the expert panel in an attempt to avoid proper scrutiny of the humaneness and effectiveness of the trial culls and prevent a full assessment of the risk of perturbation as a result of the extended culling periods. We demand that the expert panel be given the right to undertake a full review of all aspects of the two trial culls based on the total time period during which badgers were killed. It’s been estimated that the two trial badger culls cost in the region of £7 million – that’s over £4,000 per badger killed! Come on Mr Paterson, the public deserves to know the full truth. Before it's too late, please write to Prime Minister David Cameron and ask him to intervene. Mr Paterson must be forced to come to his senses and listen to the scientific evidence which proves that culling is a complete waste of time and money. It’s time to kill the cull once and for all.